Health plans and insurers know that to thrive over the next 3-5 years, they must dramatically improve their ability to engage with individual consumers. ~Understand, segment and effectively reach individuals entering the market in the wake of the affordable care act. ~Strengthen relationships with existing members and reconnect with past members. ~enable and encourage individuals to take better care of their own health and healthcare needs. 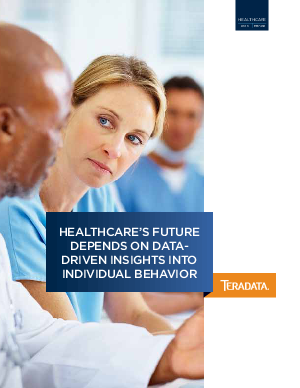 ~Provide employers with tools that can help their employees make more effective healthcare decisions.